Search Engine Optimization (SEO) is the process of improving the visibility of a website by modifying web pages, article titles, menu titles, meta data and other website content to maximize your website’s ranking in search engines. 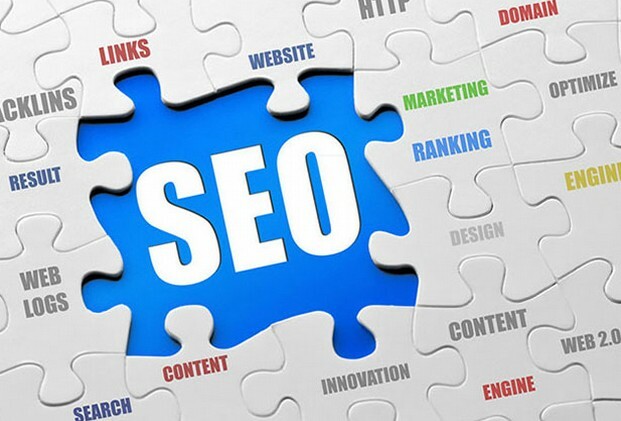 In other words, SEO helps search engines notice and correctly rank your website. Joomla has a few SEO functions. But it is also missing a couple of crucial details. We will therefore show you how to add these missing elements and other simple methods to increase your search page ranking. SEO is important because the majority of visitors to nearly all websites get there after doing a Google search. In other words, good SEO can double the traffic on your website. This may not be that important for a personal website, but it can make or break a business or community website. Sadly, there is a tendency for site owners to get so wrapped up into trying to fool the Google Search Engine that they get ripped off by outfits promising a Number One ranking – or they invest in tools that are of little help in improving their ranking. Of course, every online business wants to be at the top of the Google rankings. But if it were that easy for businesses to fool search engines, then search engines would become worthless. Instead of trying to fool Google, you should try to think like Google. Google uses several processes to rank a website. First, Google knows how many viewers have visited your website and where they came from and how long they spent on your website and whether they interacted with more than the Home page of your website. Google also knows how often you post to your website. All of these things matter in determining the quality of your website and therefore all of these things will affect your Google ranking. If you frequently post to your site and viewers value this information, your website will receive a high Google ranking no matter how long the page takes to load or whether your page has the proper links. As just one example, the website pinterest.com takes forever to load. Even with a high speed connection it is more than four seconds. Yet it is currently Number Three in the world in terms of social interaction – behind only Facebook and Twitter. In other words, it gets millions of hits every day. Do you think Google is going to care that it takes five seconds to load? The reason Pinterest takes so long to load is that it specializes in lots of images and images take a long time to load. But people love images and they are willing to wait for five seconds in order to get images. Google rewards Pinterest for having a lot of traffic and ignores the slow loading speed. Let’s take another example. There are some who claim that Wordpress has better Search Engine Optimization than Joomla. This claim is absurd. It is like saying that Google prefers Green cars more than Blue cars. Google does not care what color of car you drive and it does not care whether you are using Wordpress or Joomla for your Content Management System. If you post valuable content and your articles result in a lot of traffic, then your website will get a high ranking. If you never post on your website and no one goes to your website, you will get a low ranking. Google has said this repeatedly on their blogs. Your content and images matter far more than any other factor. Nearly every tip in this book is about increasing traffic to your website. There are as many ways to increase traffic as you have time to invest in your website. But increasing traffic will not occur by magic. Rather it takes study, effort and time. I have some friends who post to their website twice a day and they have thousands of visitors every day. I have other friends who post only once a month and then wonder why their page is ranked so low. I have friends who understand the power of images and have their posts shared by thousands of people. I have other friends who only use text which sadly no one ever reads. In addition to reading this book and the next, I recommend that you visit high traffic websites like Pinterest. Ask yourself, what is it about this website which attracts so many people. How can you do something similar with your website? Wordpress is like a newspaper. It organizes posts by date rather than by subject. Joomla is like a book. It organizes articles by subject rather than by date. But while there are not major differences between the two systems initially in terms of Search Engine Optimization, there are huge differences over time. First, it is much easier to create a blog with a Joomla website than it is to create a Table of Contents for a book on a Wordpress website. This means that over time, Wordpress websites turn into a giant mess. You want to explain to someone how to do something? Good luck organizing the right series of articles and images on a Wordpress blog. Meanwhile, because Joomla organizes articles and images by category, it is easier for your viewers to navigate a content packed Joomla website than to navigate a content packed Wordpress website. Thus traffic for a Joomla site will increase over time while traffic for a Wordpress site will decrease. There are certainly uses for blogs in terms of encouraging viewer interaction. But in the end, books are a far better method of teaching skills than blogs and at some point in the future, more folks are going to realize the limitations of Wordpress blogs and seek out Joomla multipurpose interactive websites for their businesses and social organizations. 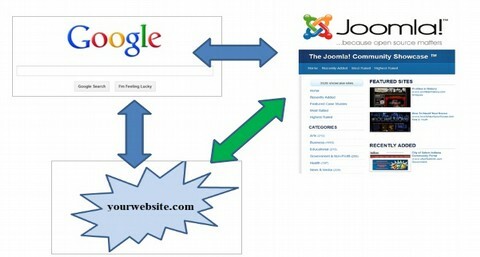 In short, Joomla is an ideal platform to optimize search engine rankings. However, there are some simple additional things you can do to make sure your site is noticed and correctly ranked. The most important is to use meta-tags and titles which convey information about your website’s topics and purpose. It is useful to understand how web crawlers see your website. Search engines rely on automated web crawlers to provide information about your website. These web crawlers scan your website’s coding. They are looking for H1 tags, meta-data such as a title and a description - and links to other pages. Having an existing high ranking page linking to your page is a good idea – especially if the link is to your Home page. Linking your page to another high ranking page (in other words, a page which already has a lot of traffic) is also a good idea. Linking from your Home page to other pages on your website is also a good idea. Understand that all menu items are links and appear as links to web crawlers. So the titles you give to your menu items and articles matter. Make them descriptive. Based on this simple research, our keywords are Joomla, website, tutorials, templates, extensions, beginners, pdf, build, create and free. We will use these key words in our global metadata, meta descriptions and also in articles and menu items. This simple step will make Google and you much happier. According the Google SEO Manual, the two most important parts of SEO are a descriptive title and an accurate meta description. Hopefully, you have written titles which describe what your articles and pages are about. But the meta description is a bigger problem. To see what the meta description is on any page, go to that page and right click. Then select Display Page Source. Above is the page source for the article with the title Why Joomla is better than Wordpress. Assuming you have not typed a meta description or key words into your article with the article edit screen, Joomla will insert the global meta description and global key words on every article and every page. This is not very good as it means Google has no idea what this page actually describes! Automatically create Meta Descriptions or Manually type them? There are two options to solve this problem. First, if you have hundreds of pages and a limited amount of time, you can add a free Joomla extension to automatically add meta keywords and a meta description to all of your pages. If you have more time, you can add your own key words and meta descriptions for each of your articles. We will describe both methods. If you do not have the time to create meta descriptions for each of your Joomla articles, or you just have a bad memory and forget to add the description, the best way to make sure each article gets a description is to use a Joomla extension which will automatically add a unique description to each page. 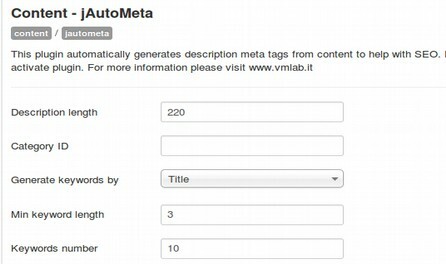 J Auto Meta Plugin is a simple free Joomla Plugin which automatically creates a meta description using the first sentence of your article. It also automatically generates key words based on the title. You can set the number of key words and the minimum number of characters in your key words. If you put in a custom description in the article, then the custom meta description overrides the plug in. Thus, you can put in your own or use the plugin. This works very well because it helps you focus on adding a good introductory sentence to every one of your articles. This is a good idea even if you do not care about SEO. To install this plugin, go to the JED and click on SITE MANAGEMENT, then SEO and Metadata, then metadata. Click on Download. Then transfer it from your download folder to your website’s extension folder. Then upload it with the Joomla extension manager. Reduce the description from 400 to 300 characters (about the first 30 words). Leave the Category ID blank add it will add meta data to all categories except the Home page (which has its own meta data set in Site Global Configurations). Generate keywords by: Set this to title as the plugin is not very good at generating keywords from content. Min keyword length: reduce from 5 to 4 to pick up nearly all words in the title. Keyword number: Reduce from 20 to 15 to focus on more important key words. This is better than the global meta description as at least Google now knows has a specific description for each of your web pages. The important thing with this plugin is to make sure the first 30 words on each article provide a good description for the entire article – using as many key words for your website as possible in your introductory sentence. But if you have the time, you should add specific key words and a more precise meta description to each of your pages. Go to your Article Manager and click on an article to open it. Then click on the Publishing tab where you will find a section called Meta Description. There is space to add a one sentence description and a few key words. Give each of your articles a brief description (no more than 30 words) and a few key words (less than ten words, separate each word with a comma). Meta description should be less than 300 characters in length. Avoid tag stuffing your meta box. 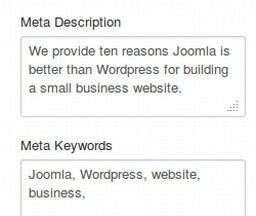 Especially avoid placing more than a few key words in the Joomla Global Meta Description (Global Configurations, Site) as – if you fail to include descriptions for each page or fail to use a plugin to place unique description for each page - these words will be added to nearly every page on your website and may possibly confuse the search engines. Rather than using a long global tag, keep key words and meta tags on the same page as the actual content. Avoid adding more than 30 words in either the global meta data or your article meta data. At an average of 6 characters per word, using 30 or fewer words will keep your total characters under 300 characters. If you have a lot of articles on your website, it is useful to develop a table of meta descriptions and key words. Click on Download. Then upload the extension to your website with the Joomla Extension Manager. Then go to the Plugin Manager and click on this extension to open it. Type in the sentence you want to use in the tag box. Then enable the plugin. Then click Save and Close. Then view any website page and right click on the page source to verify that a better tag has been inserted. Now that we have the basic meta data set up, we will add a header tag and site map extension to help Search Engine find our website and web pages. The Google SEO Manual says that number one is a descriptive title and number two is an accurate meta description. Number three is header tags and number four is good navigation and a submitted site map. We will discuss Header tags next and submitting a Site Map in our next section. <h1>This is the Title of my Article</h1>. Google uses this title tag to categorize your website. Google looks for an H1 header tag on every page to recognize the article and determine what the page is about. Unfortunately, Joomla fails to provide H1 tags. Instead Joomla uses an H2 tag for the title of articles. We will therefore add a header tag generator tool. Another important tool to improve search engine rankings is the presence of a site map which can be submitted to search engines. We will therefore also add a site map tool and review how to submit your site map to search engines. 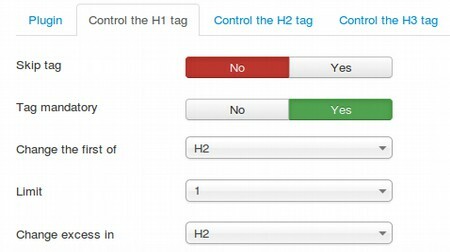 Then click on the Control the H1 tag tab. Why doesn't Joomla insert an H1 tag into the beginning of every article?Joomla reserves the H1 tag for the Menu Item “Page Display Options.” To use this, you would set “Show Page Heading” to Yes and enter a page heading in the Page Heading field. You would need to do this for every menu item. Since few people do this, adding this automatic tool is a useful alternative. This change from an H2 tag to an H1 tag may seem minor. But it is very important to help search engines find and properly classify you pages. A title should be under 100 characters in length and should include relevant key words. Use only one H1 tag per page or article. For the rest of the headings in your article, use h2 and h3 tags.